The government's case as we know it against al Qaeda operative Zacarias Moussaoui is in grave danger. 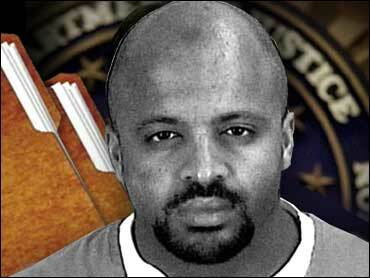 Not just because of the well-chronicled conflict between his fair trial rights and national security concerns, but because of new information the feds themselves have received about Moussaoui's role — or, more accurately, the lack of any such role — in the September 2001 terror attacks on America. As CBS News Correspondent Jim Stewart reported first and exclusively Monday, Khalid Shaikh Mohammed, the al Qaeda leader captured earlier this month in Pakistan, has told U.S. intelligence officials that Moussaoui was not involved in the Sept. 11 hijacking plot. This supports what Moussaoui for months now has been telling anyone who would listen: he's al Qaeda, all right, but wasn't supposed to be the "20th hijacker." He was a terror conspirator but not a part of the devastatingly coordinated conspiracy that resulted in the death of nearly 3,000 people. If Mohammed's version of events is true it tears the guts out of the government's existing case against Moussaoui — a case already in legal limbo because of a fight over defense access to government witnesses. The Mohammed bombshell likely will force the feds either to drastically narrow the scope of the Moussaoui indictment or to simply, and finally, give up the fight in federal court and turn the confessed terrorist-wannabe over to the military for prosecution before a tribunal. Mohammed's terror-flow-chart description of his underling's role doesn't exonerate Moussaoui — both are still in big trouble and won't see the light of day anytime soon — but at a minimum it may have saved his life. By breaking the link between Moussaoui and the terror attacks, Mohammed's story almost certainly ends any chance the feds have of getting the death penalty imposed upon Moussaoui. That's because, aside from the constitutional crime of treason, federal law generally does not permit the use of the death penalty in cases based upon crimes that have not themselves resulted in the death of at least one victim. So if Moussaoui wasn't involved in the enormously deadly 9-11 conspiracy — and his boss who ought to know says he wasn't — and if no one has suggested that he was involved in any other relevant conspiracy that resulted in the death of a victim, what's left of the government's detailed indictment against him? Not much. With Mohammed's story out, it appears fairly clear that all the government has against Moussaoui are indications that he was involved in another conspiracy, in which his still-murky role was stopped 19 months ago, in August 2001, when he was arrested in Minnesota. Is that a crime? Probably. The government has had good success so far charging suspected terrorists with providing "material support" to terrorist organizations. And a conspiracy doesn't have to be successful to constitute a crime. But it has to be successful, it has to be deadly, and it has to be a whole lot more definite to constitute a capital crime. Even under the new rules of the game as it now is being played by the Justice Department via the U.S.A Patriot Act, the mere fact that Moussaoui is a member of al Qaeda and was training for some yet undescribed attack isn't enough to execute him, either after a trial in federal court or before a military tribunal. So if prosecutors themselves do not alter the charges against Moussaoui based upon Mohammed's statements, the federal courts probably will do it for them either before or after trial. By minimizing Moussauoi's place in the rogue's gallery of terrorists, Mohammed's tale also has put even more pressure on the government to forgo a public Moussaoui trial that would give his defense attorneys some sort of access to Mohammed and fellow al Qaeda boss Ramzi Binalshibh. If Moussaoui has a constitutional right to access Binalshibh — a ruling now on appeal to the 4th U.S. Circuit Court of Appeals — he clearly has a right to access Mohammed, whose not-so-secret "testimony" so far seems to be precisely the sort to which the defense is entitled. And if the government is fighting hard to keep from interrupting Binalshibh's interrogation it surely does not want to allow Team Moussaoui to fuss around with the Mohammed interrogation, which is quite obviously working well. You can bet that Moussaoui's stand-by attorneys right now are figuring out how to amend their appellate briefs to add this Mohammed wrinkle to their claims that Moussauoi can only have a fair trial if he is given access to witnesses who would help his defense. You can also bet that Mohammed's comments will make it harder for any court to deny such access. Finally, the Mohammed sheen on the Moussaoui case hurts the credibility of prosecutors, and especially that of Attorney General John Ashcroft, who seemed to speak with such certitude about Moussaoui's integral link to the 9-11 attacks. This puts the government in a peculiar position. If the feds come out and say that Mohammed is wrong about Moussaoui, then why should anyone be expected to believe Mohammed when he says anything about anyone else? And if the feds continue to contend that Mohammed knew everything about everyone related to al Qaeda, how in the world can they come into court with a straight face and tell a judge or jury that Moussaoui was supposed to be on one of those hijacked flights? They can't. Which is why it is becoming more and more likely that we will never see Moussaoui tried in public in a federal court in Alexandria, Virginia. If prosecutors weren't ready to accept that reality a few days ago, surely Mohammed's words have jolted them toward it today.